“Hey, batter-batter-batter, hey, batter-batter-batter-swing-batter!” We always preferred Cameron to Ferris Bueller. 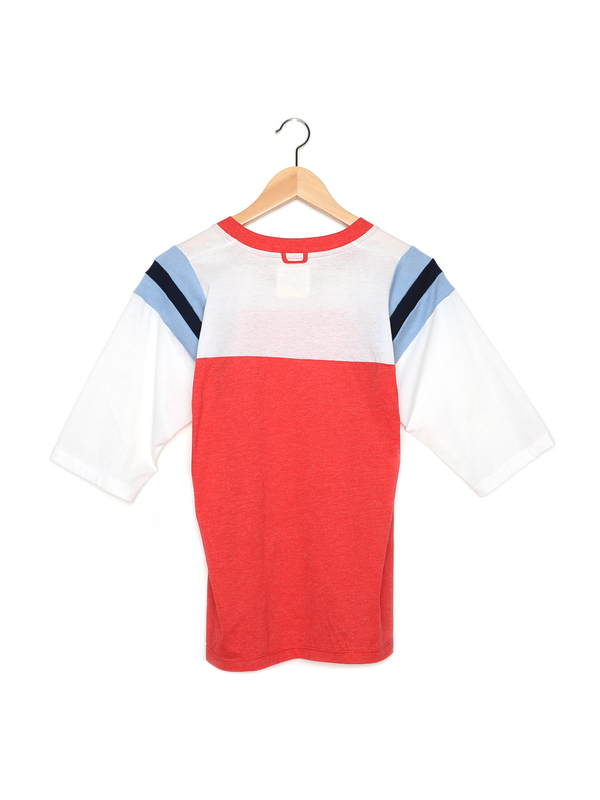 Three-quarter sleeve crew neck tee. 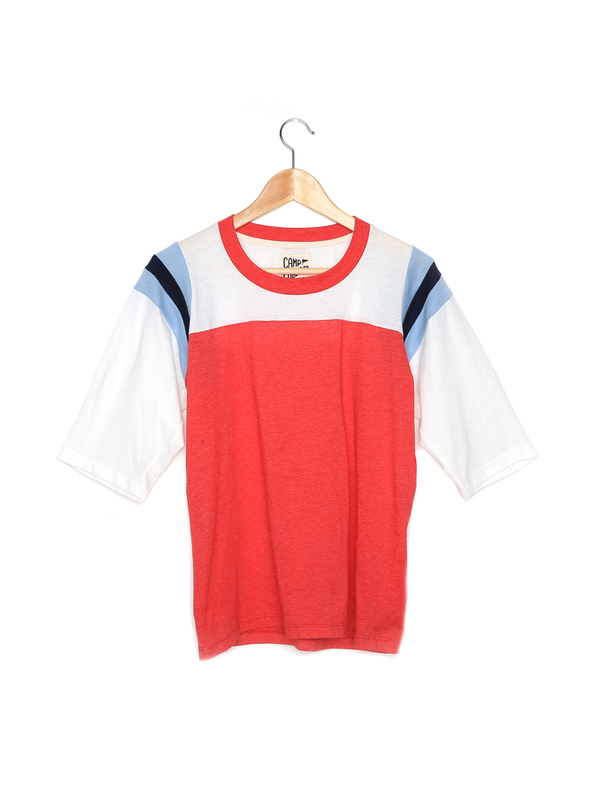 Contrast color body and neckband. Two-color shoulder inserts. Locker loop at back neck.